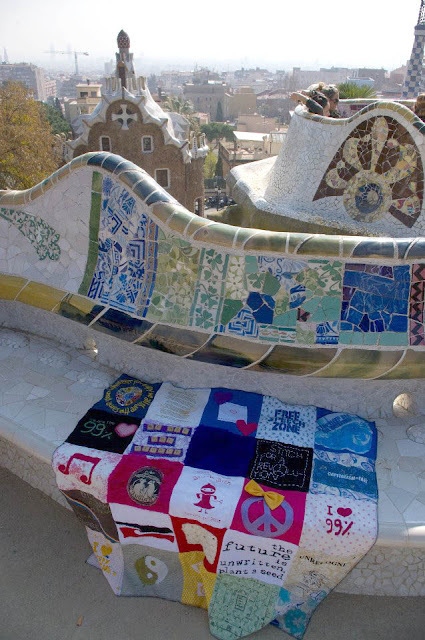 Wellington Craftivism Collective: Mini Blanket # 2 Arrives in Barcelona! Mini Blanket # 2 Arrives in Barcelona! If you are in Barcelona, or know anyone one here who would like to help to co-ordinate a workshop then get it touch now! !